Advances in Ecological Research presents a wide range of papers on all aspects of ecology. Topics include the physiology, populations, and communities of plants and animals, as well as landscape and ecosystem ecology. 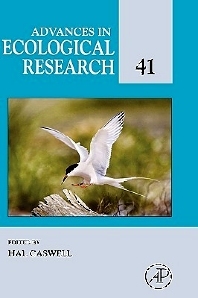 In 1999 the Institute for Scientific Information released figures indicating that this serial has an impact factor of 9.6 and a half-life of 10.0 years, ranking it first in the highly competitive category of ecology. Scientists and academicians studying ecology, evolution, plant biology, physiology, the environment, population biology, and entomology.